Are cruises suitable for disabled people? A disability shouldn’t stop you from taking a well-deserved holiday, especially when so many cruise ships are equipped with accessible features designed to make your voyage as unforgettable as possible. More and more cruise lines are waking up to the fact that disability shouldn’t be a barrier, and as a result, cruise ships now come complete with all manner of accessible essentials and special facilities. Larger cruise ships in particular offer plenty of space for guests in wheelchairs and mobility scooters to manoeuvre in both public spaces and staterooms. Many ships even come complete with larger doorways that have been specially designed to accommodate wheelchairs. Royal Caribbean’s Freedom Class and Oasis Class ships are by far the largest, but this does also mean you will need to cross longer distances to get from one end of the ship to another. Their smaller, Radiance Class ships offer a medium-sized alternative and still feature the same adaptations. Specially designed accessible staterooms are available on the majority of cruise ships. Some, like those on-board Royal Caribbean cruise ships, can accommodate 180 degree turns for wheelchairs, while others provide ramped access to balconies. All accessible staterooms include wet room-style showers, grab rails, pull-down shower chairs and lowered furnishings like dressing tables and sinks. Visually-impaired guests needn’t worry about feeling lost on-board, or too dependent on their companions. Cruise ships incorporate braille in their public areas, in lifts and on buttons, and provide large-print menus. P&O Cruises even stocks a selection of talking books in its library and provides braille menus on request. Some accessible staterooms have been designed with hearing impaired guests in mind, including innovative adaptations like vibrating alarm clocks, and doorbells, telephones, smoke detectors and fire alarms with indicating-light systems. Staterooms without these facilities feature alert kits which can be fitted to any cabin; these include visual-tactile smoke detectors, door-knock alerts, wake-up systems and telephone alerts. Royal Caribbean is a fantastic ship for those with autism. Its autism-friendly initiative helps put families’ minds at rest with things like priority boarding, special dietary accommodations, an on-demand Autism Channel®, toy lending programmes and, of course, specially-trained staff. Click here to find out more. Not every cruise line has the same policy with regards to certain allowances, so it is always worth contacting them before you book to make sure you can take certain things on-board. Here are a couple of key policies to bear in mind. 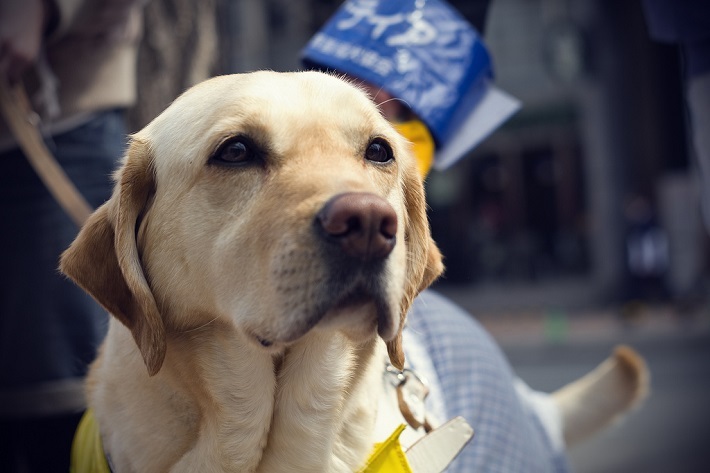 Not all cruise ships allow guide dogs on-board. Those that do are mostly American lines like Royal Caribbean, and will provide areas where your dog can relax. Your dog is welcome in the restaurant and bar areas, though they may not be allowed to disembark at every port of call. Bear in mind that on these ships, sole care of your dog rests with you – no food or care is provided for them by the cruise line. You will also need to let the cruise line know about your four-legged helper at least 30 days before departure, or as soon as possible before making a booking. Guests who need access to dialysis and oxygen machines are welcome to bring their own equipment on-board many cruise ships – notify your cruise line in advance of your holiday to arrange delivery. The same goes for oxygen machines. Some cruise lines stand head and shoulders above the rest when it comes to catering for disabled guests. Here is our pick of the best. Royal Caribbean’s Freedom Class and Oasis Class ships feature some of the most up to date amenities at sea, including those for disabled people. Specially-adapted staterooms, lift-accessible pools and Jacuzzis, and braille signs and lift buttons are all included on-board. However, these ships are also the length of three football pitches. Shorter distances can be covered on Royal’s Radiance Class ships, and you will have access to all the same facilities. Every P&O Cruises ship has wheelchair-accessible cabins. These rooms also feature electric-access doorways, tons of floor space and ramped access if they come with balconies. Adapted staterooms also feature roll-in showers complete with pull-down seats and grab rails, and some P&O cruise ships have hoists to at least one of their swimming pools. 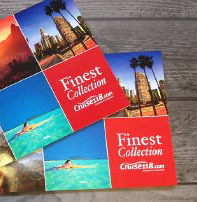 The cruise line also features adapted excursions at many ports of call. 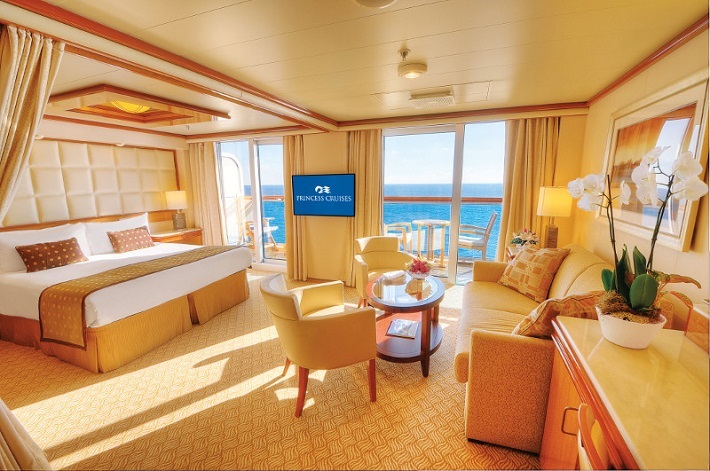 Princess Cruises boasts some of the most accessible staterooms and suites at sea on-board its Grand Class ships. They also feature a wheelchair-transportation system which means you won’t have to negotiate tight gangways. The ships’ lift buttons also feature braille. The Celebrity Cruises fleet boasts accessible staterooms across most categories on its Solstice Class and Millennium Class ships. All rooms also come complete with automatic doors, while the pool and Jacuzzi have lifts for wheelchair users in all ships except Millennium and Infinity. Celebrity’s Solstice Class ships also boast lowered casino tables. NCL cruises are incredibly accessible for disabled passengers. Fleet-wide amenities include up to 27 wheelchair-accessible staterooms with grab rails in the bathrooms, shower seats and extra-wide doors for easy access. Some ships even have alarm pull rods in bathrooms and alarm buttons next to the beds for extra peace of mind. Other Norwegian Cruise Line ships have Braille indicators in their lifts, Braille cabin numbers and, in the line’s three newest ships, electric hoists for access to the pools and Jacuzzis. Many NCL ships also provide dedicated wheelchair positions in their main theatres. Holland America Line is one of the best cruise lines for disabled people, particularly on-board its Vista Class ships. As medium-sized vessels they are easy to get around, with plenty of space to accommodate wheelchairs and mobility equipment. They also offer purpose-built staterooms across all categories and, most impressively, a unique wheelchair-accessible tender transfer system. This cruise line also provides wheelchairs and special equipment to guests via a partnership with ‘Special Needs at Sea’. Cunard’s classic cruise ship, Queen Victoria, has 20 wheelchair-accessible staterooms featuring roll-in showers, grab rails and shower seats. All areas of the ship are barrier-free and accessible, while pool hoists and rental equipment are also available. Would you like to find out more about which cruises are suitable for disabled people, and what to look out for when you book your holiday? Click here to find out more or call our Cruise Concierge team on 0207 980 2847; they will help you find your perfect sailing. Can I get a hoist to transfer from my wheelchair to bed also can I get a profile bed to sleep on ? Hello Solabomi, many cruise lines have specially adapted staterooms on their ships, though I’m not sure if any include wheelchair hoists. 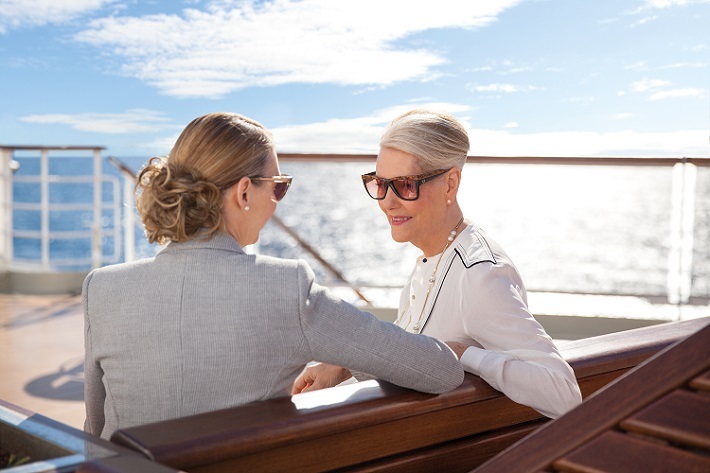 If you have a specific cruise line in mind, I’d recommend speaking with a member of our Cruise Concierge team or the cruise line itself to ensure the ship will meet your needs. You can reach our team on 0808 1234 118. Thanks, Emma. very helpful and learning tutorial for disabled people.Normally the disabled people can not get any opportunity to travel outside the house but your step helps them to enjoy their life as a free public.